Northgate Vehicle Hire customers are to benefit from AA cover thanks to a new partnership. The deal will see Northgate customers take advantage of 45minute roadside attendance times, as well as misfuel, key and battery assist services. It is designed to ensure businesses utilising Northgate’s services can minimise downtime, and will reduce Northgate’s previous callout costs. Northgate’s customers will also benefit from vehicle warranty assistance and increased support patrol servicing across a wider geographic area. Higher first time fix ratings and a quick-phone service, which allows businesses to dial for assistance faster, are also benefits. Bill Parsons, Head of Purchasing for Northgate Vehicle Hire, said: “Our partnership with The AA will benefit our customers with immediate effect. “Our affiliation with the UKs leading breakdown provider will have a major impact on the service our customers receive, as we are now able to attend to all Northgate vehicles, including heavy duty vehicles, requiring road side assistance in addition to having the facility to drop customers off directly at our branches for a replacement vehicle. 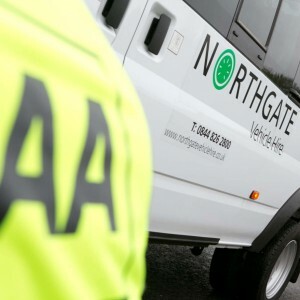 “Northgate is working hard to ensure the service it offers its customers is second to none; providing roadside assistance, and other AA services as standard, reinforces this commitment. Roger Williams, Director of Fleet Services for The AA, added: “We are delighted to have this opportunity to work with Northgate Vehicle Hire and look forward to providing an excellent service for their customers for many years to come. “These are exciting times for the UK’s market leaders in both the breakdown and vehicle hire sectors, and the new relationship recognises the strength of our individual public profiles and the similarities between our respective brand values.